Tal Band is a senior partner, member of the executive board and of the management committee and the chair of the intellectual property practice group at S. Horowitz & Co. Tal represents high-profile clients in litigation before the Israeli civil courts and the Patents and Trademarks Office on all matters relating to patents, trademarks and copyright issues. He has particular expertise in complex, multi-jurisdictional disputes and works in close coordination with leading IP litigators in the United States, the United Kingdom and worldwide. Tal has been involved in and responsible for numerous precedent-setting Supreme Court decisions in IP in general, and in patent cases in particular. Tal has been described by Chambers Global as ‘a fantastic IP trial lawyer who is intelligent and can be counted on for first-class legal work’, as well as being ‘one of, if not the most gifted litigators in the country’, by the World Trademark Review. 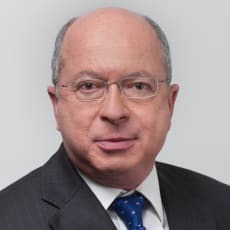 Tal was a member of various public committees of experts appointed by the government of Israel to review legislation in various fields, in particular the law revision committees overseeing the Patents Law, the Trademarks Law, application of the TRIPS agreements, practice and legal proceedings before the Patent Office and the Standards Law. Tal teaches courses on IP at the Tel Aviv University. In recent years, Tal has served as chair of the highest-profile international conferences on IP and business in Israel.